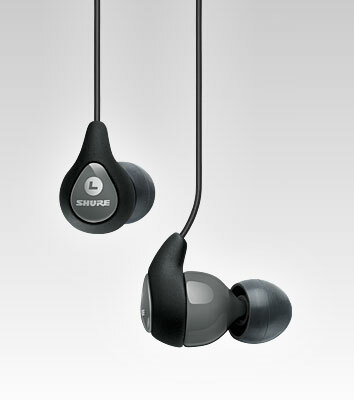 SE112 Sound Isolating Earphones feature great sound with deep bass. Dynamic MicroDriver The SE112 delivers great sound with deep bass and impressive sound isolation. The first step in an audio upgrade for portable digital devices, the SE112 features Sound Isolating sleeves in multiple sizes block outside noise up to 37 dB and provide a secure, comfortable fit. Evolved from personal monitor technology that's been road-tested by pro musicians, the SE112 delivers detailed sound for personal listening or monitoring. Two-year limited warranty: learn more. Lightweight, low-profile shape with optimized nozzle angle is designed to rest comfortably in the ear. Over-the-ear configuration keeps cables out of the way. The role of the included sound isolating sleeves is twofold: blocking ambient noise and ensuring a comfortable customized fit. Because every ear is different, the Fit Kit includes three sizes (S, M, L) of the soft flex sleeves. Experiment with the size and style that creates the best fit for you. A good seal is key to optimizing sound isolation and bass response as well as maximizing comfort during extended wear. A compact drawstring carrying pouch is included to provide a convenient, tangle-free solution to store and travel with your earphones.